I discovered Reacting to the Past last summer after a particularly challenging semester. For the most part, my students did relatively well; however, more than half of them were disengaged in class. Many of them did not do the reading, coming to class unprepared and unwilling to participate. Furthermore, my students were very vocal about their resentment of the ten page research paper that I assigned. Yet, when they were excited about a topic we covered in class they were insightful and intelligent in their observations and commentary. They were obviously very smart and seemed to want to learn, yet shut down the minute they walked into class. What was going on? It’s tempting to echo the prevailing criticism that this generation of students consist of privileged “snowflakes” who are lazy and want everything handed to them. It’s easy to place the blame on students because many of us use the same pedagogy and assessments that our professors used when teaching us, and we did “just fine.” Or did we? I remember being disengaged and bored in class, and I didn’t always do the assigned reading. We accepted research papers as part of the college experience, but can you honestly say that you “enjoyed” them? There has to be a better way to engage students, to make them excited to learn the subject matter, and to introduce research, writing, and class discussions as necessary — and beneficial — aspects to the learning process. I spent my summer reading about pedagogy, concentrating on innovative methods of teaching and assessment. I read Mark C. Carnes’s Minds on Fire, a book that introduced me to Reacting to the Past and inspired me to adopt Gretchen McKay’s Modernism -vs- Traditionalism: Art in Paris, 1888-1889 (see AHTR Weekly post here) in my Fall 2015 and Spring 2016 “Art of the Western World” classes. I wanted my students to engage with the subject matter in meaningful ways while acquiring the research, writing, public speaking, and critical thinking skills necessary to be successful in college and beyond. RTTP provides a fun and challenging way for students to take control of their own learning while acquiring these skills. More than a month is required to properly run McKay’s Art in Paris game; because of this, it was necessary for me to rework my syllabus and methods of assessment. Time constraints forced me to limit the amount of images discussed in class for Prehistoric Art to Realism. This logistical necessity turned out to be beneficial. I quickly discovered that teaching fewer objects allowed for more meaningful and productive class discussions. My students appreciated the comprehensive study of fewer objects because it made the subject matter more accessible and interesting. RTTP requires students to research and write about their characters (artists, gallery owners, or critics) and the Parisian art world; present their research in class and debate with other students; work in groups; develop creative and successful strategies to show and sell their work; and successfully “sell” their work to a group of buyers who are often professors. As a result, I replaced the midterm paper and final exam with the work my students do for Art in Paris. Their midterm assignment is to visit the Metropolitan Museum of Art or Museum of Modern Art and write a four page formal analysis paper of a painting done by their artist, or by an artist their character supports (critics and gallery owners). This assignment requires the student to engage in looking at an actual art object instead of a reproduction in a book. The formal analysis forces the student to consider the working methods of their artist, the size of the object, and whether the formal aspects align with French Academic art or the Avant-Garde. 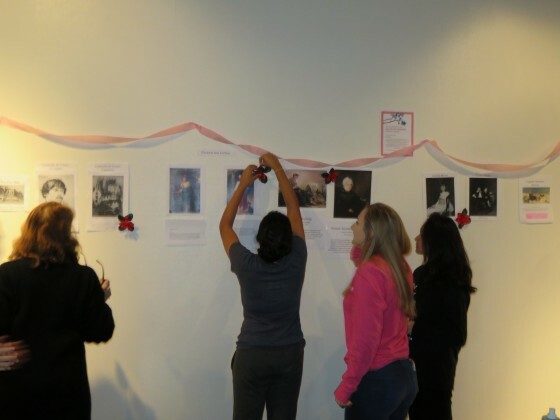 Students are also required to prepare in class speeches and participate in debates with their classmates regarding what constitutes art and the future of art in the late nineteenth-century. While the presentations and debates are loosely organized and often informal, the game rules require students to write a two page character introduction paper and a three to five page paper that argues the character’s artistic ideology. I require that both papers must be well-researched, well-written, and properly cited. I also require my students to submit a bibliography of all the sources they considered throughout the game. The accumulation of all papers and bibliography takes the place of a final research paper and is graded as such. Since these papers are not labeled “research papers” and are short, most students find them relatively easy to write. They also find them necessary to win the game, something they desperately want to do. Throughout the presentations and debates, I display a live Twitter feed that filters a class specific hashtag. I encourage my students to “tweet” their reactions — in their character’s voice — to what is being presented. Twitter adds another dimension to the debates, capturing students’ instant, and sometimes humorous, thoughts and observations. Obviously, traditional methods of assessment have been meticulously worked into the RTTP system. However, in my opinion, the spontaneous and creative student-driven projects that fall outside the prescribed game structure is where the magic of RTTP occurs. These projects are graded as extra credit and boost presentation, paper, and participation grades. Last semester, two students who played the critics, Huysmans and Fénéon, created a newspaper to feature their scathing reviews of the Salon and to praise the Avant-Garde artists. They wrote and distributed their newspaper every week during the game. Likewise, a student playing Péladan, another critic, maintained a critical blog throughout the month of play. Classroom discussions, behind-the-scenes planning, and covert scheming occurred most often in numerous emails that included multiple students over several days, all of which were sent to me. Students’ creativity and self-driven learning manifest most clearly during the last day of the game: the recreation of the Salon of 1889 and the Paris Universal Exposition. Last semester, gallery owners created binders filled with information about the artists and their artwork, including nineteenth-century pricing for each of the works. Students brought laptops to play French music during the class and critics handed out flyers announcing group exhibitions or open studios. 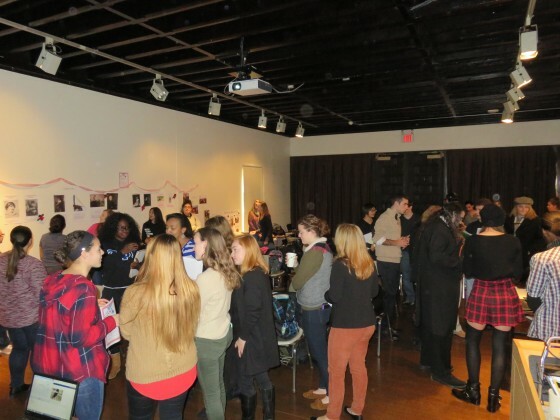 My students took the time to decorate the space and eagerly — and successfully — explained their art work or their artistic ideology to the buyers, who were thoroughly impressed with their knowledge. In both classes last semester, the Impressionists and Post-Impressionists lamented at how difficult it was for them to sell their art. They were astonished that, despite the popularity of the Avant-Garde’s work today, the Academic artists like Gérôme and Bouguereau — artists they never heard of before the game — garnered the most praise and sales. This lesson deeply impressed them and made them question the accepted hegemony of Modern Art. Despite the challenges of running an immersive role-playing game in class, it is well worth the time and effort. It breaks from the traditional methods of assessment like testing and the dreaded research paper; and it allows the students to hone their talents and learn valuable skills required for their future careers. And let’s face it, Art in Paris is fun for students and professors, alike. Let the games begin!